In 1979, a small band of enthusiasts met to discuss the possibility of starting a village drama group. 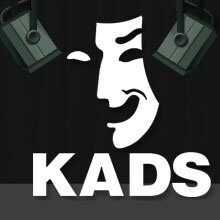 From that day, KADS continued to flourish and they found themselves producing 2–3 shows each year consisting of pantomimes, plays and various musical performances. In more recent years this has spread to entering the local Drama Festivals, where we have gained many prizes and cups. KADS is also a founder member of the Oxfordshire Drama Network (ODN). Every Tuesday evening, 7:30pm at the Kennington Village Centre. Annual subscriptions are renewed every September after the AGM.